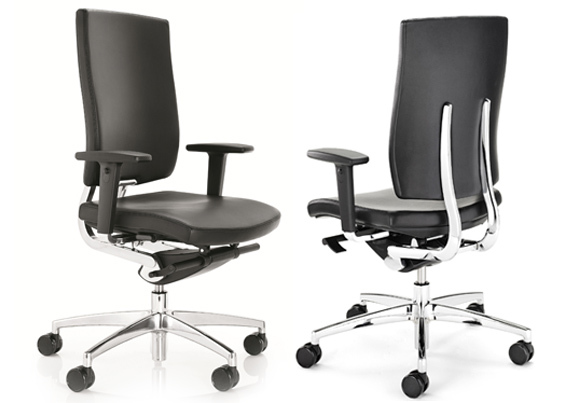 Boss Design Group collaborated with furniture designer Paul Brooks to create the elegant Sona task chair. Its intelligent design and range of adjustment controls allows it to suit each user individually. Built with a unique J-bar, the fluid design of the Sona chair gives it a clean and appealing aesthetic. 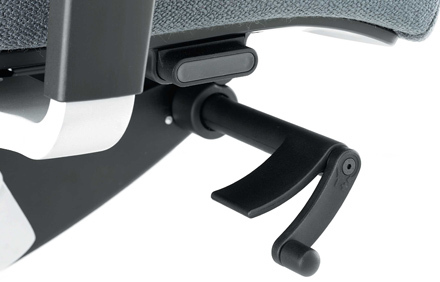 The connection of the J-bar from the back of the chair to the base allows for flexible seating whilst being both supportive and comfortable for the user. With 11 locking positions, users can adjust the chair to their perfect position. 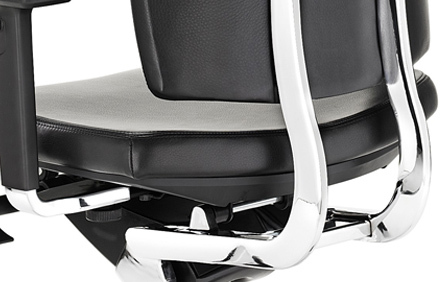 The chair’s 4 degree tilt mechanism allows the user to effortlessly move whilst seated, if and when they need to. 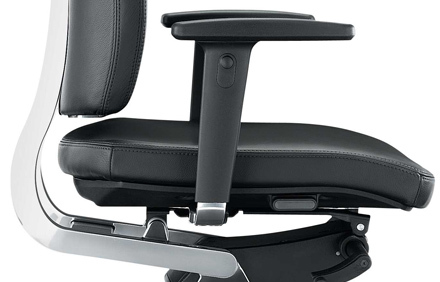 An optional headrest is also available with the Sona chair for additional support. The Sona chair is fully upholstered in either in leather, for a professional and sleek finish or in a range of coloured fabrics for a plush and relaxed look. The base and J-bar are available in a variety of finishes including; black plastic, polished aluminum, silver or black aluminium.